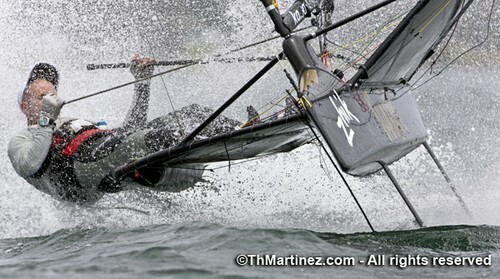 Re-live all the action with the 2011 Moth Worlds DVD. Buy now from sailingbits.com. Moth Worlds. 2011. Belmont. Australia. 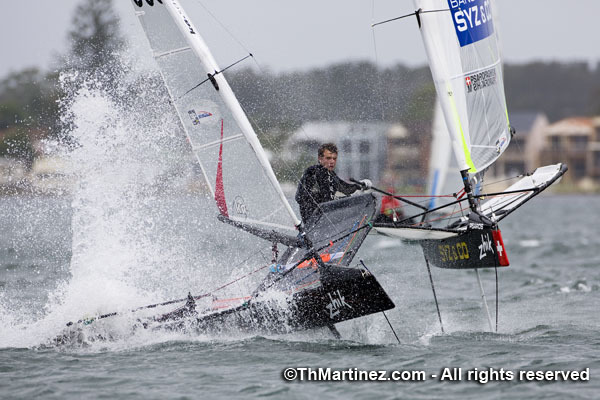 Lake Macquarie plays host to over 100 of the fastest boats in the World. The big wind venue didn’t fail to live up to it’s reputation, providing plenty of sun, loads of wind and thousands of spectacular crashes. 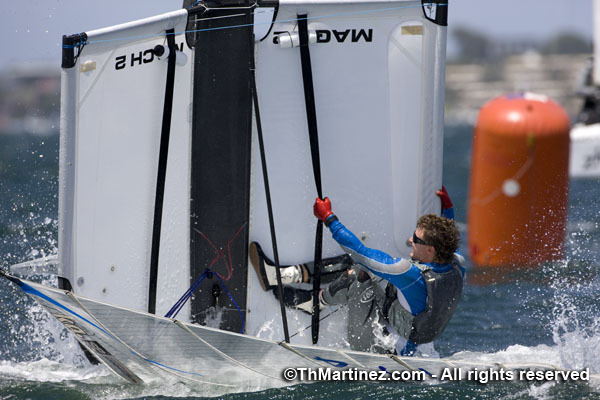 Some of the biggest names in high performance sailing battled out an epic series. This DVD follows the on-water action and the behind the scenes intrigue that marked the biggest, and best Moth Worlds. Ever. A share of the profit from DVD sales goes back into IMCA World. The first warning signal on Day 6, Friday, 14 January will be at 1000. SILVER fleet will start first followed by GOLD. 4 races are scheduled for GOLD fleet, 5 races for SILVER. 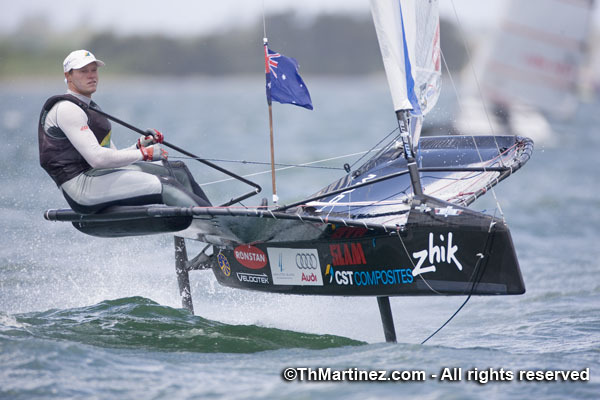 Day one of the Zhik Moth Australian Championship had a record-breaking 101 foiling Moths on the start line. Scary thought? “100 boats? It wasn’t too bad – just those port-tackers! The stunt-drivers!” said local Aussie Warren Sare. The fight to foil was the name of the game. Getting to that first puff and flying up and out of the pack meant everything – and with a pin favoured start line, the fleet was chock-full of kamikaze port-tackers risking all to foil first. Local hot shot Joe Turner took race 1, who 4th at the first windward mark made impressive gains and by lap two lead into the finish. Iain Jensen landed 2nd a whole 6 places in front of his 49er skipper Nathan Outteridge who suffered a bad start and worked back to 8th. Rob Gough, Scott Babbage and Tom Slingsby rounded out the top 5. After two generals, racers finally got out the gates for race 2, with Nathan Outteridge pulling a kamikaze manoeuvre. He nailed a port start, terrifying more than a few starboard tackers with a few close ducks, and launched into clear air. Outteridge cleaned up with minutes over 2nd place Scott Babbage. Race 3 started in a puff that cut out when the top guys hit the first mark – further separating those that foiled and those that did not. ISAF Sailor of the Year Tom Slingsby lead the 1st first beat, but the lighter and faster Outteridge and Babbage quickly overtook him on the run. Outteridge took the win, after Babbage went for a quick swim putting him back to 2nd. The mixed fleet of international sailors suffered more than a few general recalls and black flags dragging out the 3 races to a staggering 6.5 hours. Lake Macquarie’s light and shifty South Easterly clocking North challenged the visitors, favoured the locals (top 4 in race 1 were all Lake Macquarie boys), and was universally frustrating. Forecast promises 10-15 knots and sailors hope to have a full day on the foils. 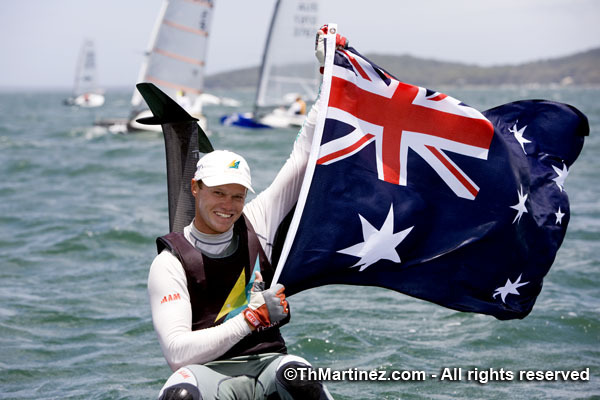 Belatedly… the event program for the 2011 Zhik Moth Worlds & Australian Championships has been posted. Amendment #3 has been posted to the SIs for the Australian Championships. Start time for Wednesday’s racing is 13:00. With the first race of the Zhik Moth Worlds under a week away, all competitors are fine tuning their boats in preparation for what is shaping up to be the most interesting Moth World Championship to date. There is a flood of sailing talent turning up amongst the 115 entries from 10 countries so it is sure to be tight at the top. There has been a great amount of debate in sailing media around the world about the solid wing sail which both Bora Gulari (USA) and George Peet (USA) have been expected to use when the action begins on January 8th at Lake Macquarie, NSW Australia. 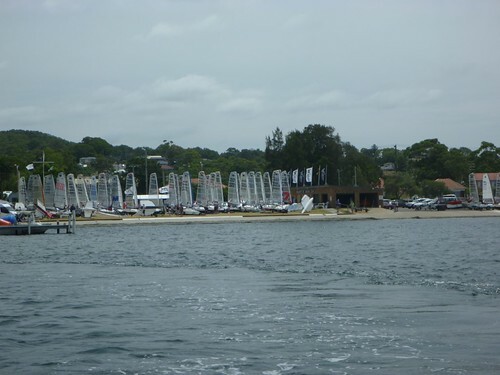 However in a late breaking report from Lake Macquarie, it appears that Bora and George may be looking at reverting back to the standard soft sail configuration. Both were out training yesterday with standard soft sail configurations whilst Charlie McKee (USA) was out testing the solid wing sail instead. Is it possible that there is an element of gamesmanship going on at Belmont at the moment? We may still see the solid wing sail on the race course yet. 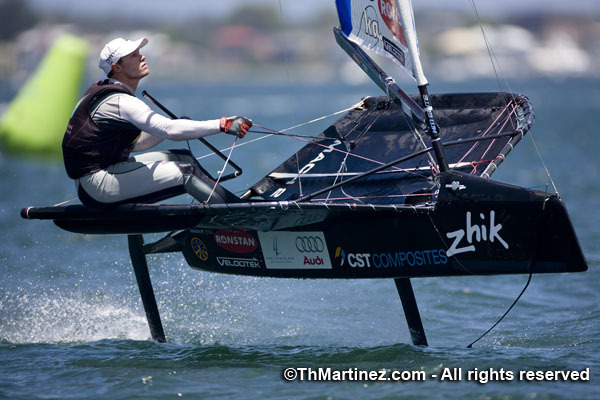 Regardless of the sail configuration, the best Moth sailor is going to take out the 2011 Zhik Moth Worlds. Let’s take a look at who are the contenders and the chargers for the 2011 Moth World title. Simon is the current Moth World, European & British Champion and is a very consistent performer. Simon dominated in Dubai and came 4th at the Moth Open Europeans. Simon is at short odds to defend his title here in Australia. 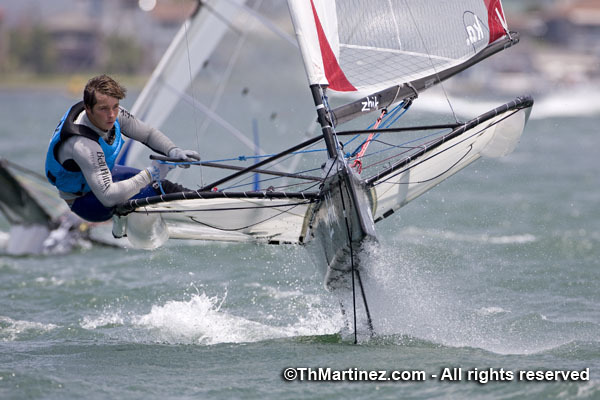 Nathan, the current Moth Open European champion, has been putting in some solid effort into his Moth Sailing of late, although this has had to take a backseat for a summer of 49er racing down under. 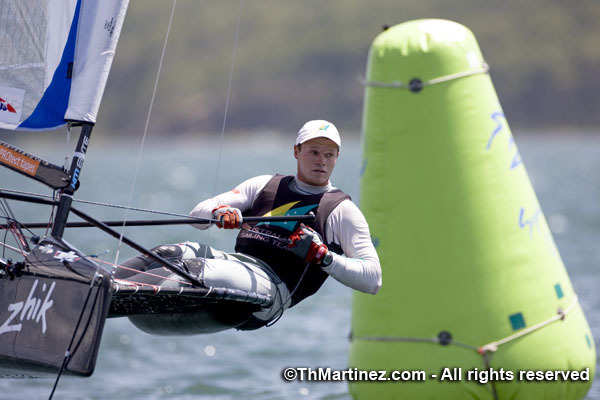 Since the last 49er event at Sail Melbourne in mid December, Nathan’s focus has returned to the Moth and with the Worlds being sailed on his home waters of Lake Macquarie, Nathan is tipped to go one better than his 2nd place from the 2009 Worlds in Oregon USA. (Note: Nathan did not attend the 2010 Worlds in Dubai). Interestingly Nathan races while listening to an iPod that is housed on his Moth so expect to hear some cool tunes at the head of the fleet. 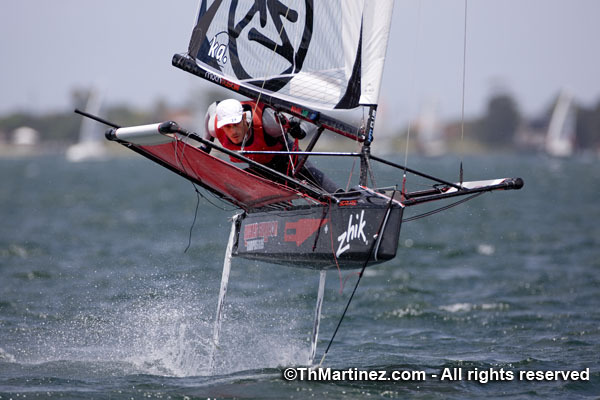 Bora is the 2009 Moth World Champion and was a close 2nd to Nathan at the Moth Open Europeans this year. Bora is fired up turn the tables on Nathan from the Open Europeans however more importantly he is looking to become the first American to win a Moth Worlds at a venue outside of the USA. Bora is considered one of the favourites and there will be many Americans following his progress with interest regardless of what sail configuration he uses. Scott has been consistently in the top group at the last three world championships but lately he seems to have found some new speed. 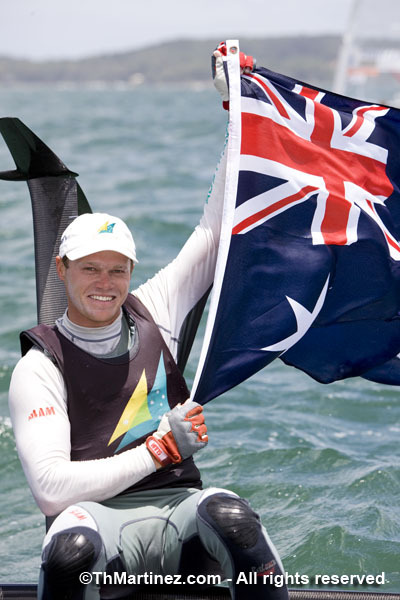 Scott impressed at the Open Europeans in August 2010 where he brought home a bronze medal and recently took out the Sydney International Regatta in convincing fashion proving that he should be one to watch. 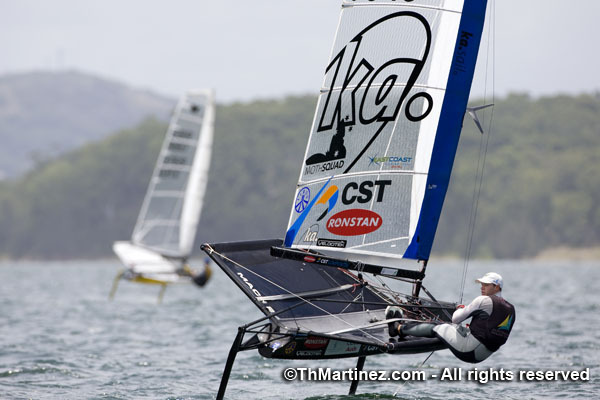 Scott will also have to juggle his other role of Regatta Director for the Zhik Moth Worlds however with some good preparation and delegation, expect his focus to remain firmly on the racing during the Worlds. A-Mac is the “Grand Father” of the Moth Class and the man behind the Mach 2 Moth, which is essentially the weapon of choice for most competitors here at Belmont. A-Mac finished 2nd to Simon Payne at the Dubai Worlds after getting off to a flying start and is known to be quick in a straight line. Whilst there might be some younger and fitter sailors competing at Belmont, you can be sure that the old fox has a few more tricks up his sleeve. Will A-Mac be bringing a standard Mach 2 or will there be a Mach 2.5 at Belmont? 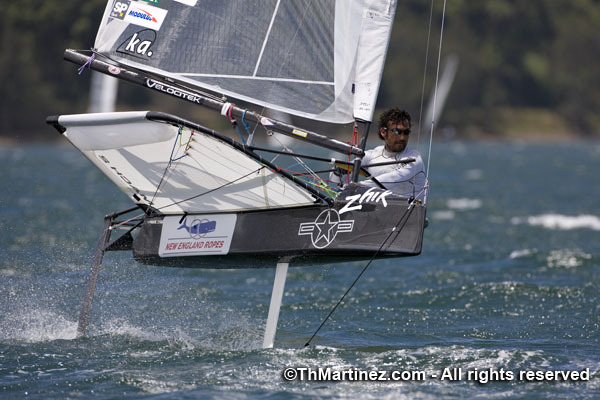 “Super Funk” came 3rd at the Dubai Moth Worlds and has been putting in the hard yards in his Moth of late. Brad is also increasing his training program for his London 2012 Laser campaign so expect him to be in good shape at Belmont. Brad is known to be very quick in light airs. 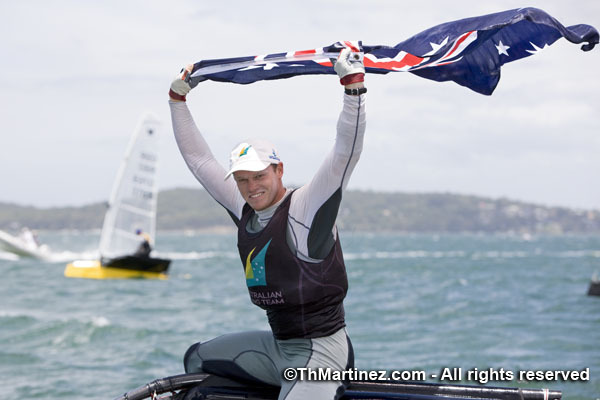 Tom is the current ISAF Sailor of the Year and triple Laser World Champ who has turned his hand to the Moth class over the past twelve months. Tom believes that sailing the Moth provides him a refreshing change to the grind of Olympic/One Design racing as well as a great outlet to have fun and learn more about this exciting form of sailing. 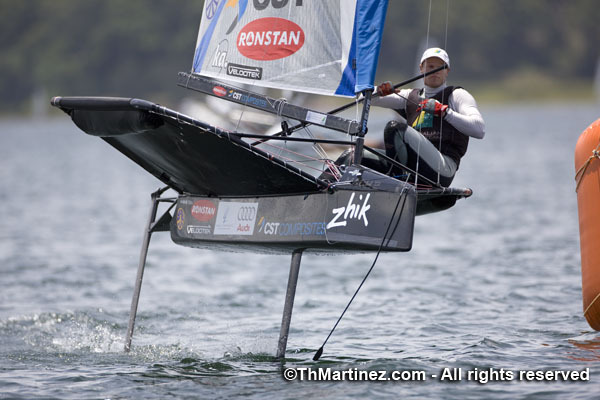 Most things Tom does turns to gold, so expect him to master the Moth class sooner rather than later and be somewhere at the top during the Zhik Moth Worlds. The 2008 Moth World Champ and 2001 18’ Skiff World Champion has been devoting all his time to his Moth over the past twelve months and will be somewhere in the mix at the business end of the regatta. John has campaigned the 18’ Skiff the Rag & Famish over the past ten years and is known as a very consistent performer. 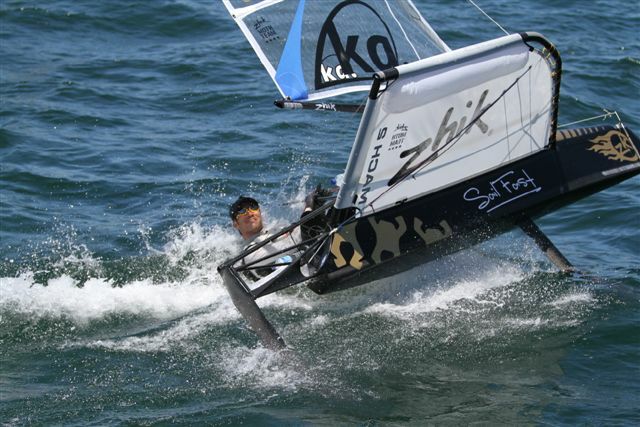 John’s company sailingbits.com will be on site during the Zhik Moth Worlds providing all vital equipment needed for competitors including a full range of Zhik gear. Arnaud has not had a great deal of training opportunities of late in Switzerland, however he has arrived at Belmont with plenty of time to recapture the form which saw him win the 2009 Moth European championships. Arnaud tied for 3rd with Brad Funk at the Dubai Moth Worlds but was relegated to the”leather medal” 4th place position on a count back. Our spies tell us that Joe has been ripping it up at the Lake and has plenty of pace. His form is hard to gauge but if the rumours are true, he is quick and will feature. George “Bear” Peet is a Volvo Ocean Race veteran as well as a Melges 32 World Champion with the all-conquering Bliksem Racing Team. Bear was also planning on using his Object 2 Skiffworks solid wing sail at Lake Macquarie however our spy’s tell us that like Bora, he too might be having second thoughts. Bear knows his way around a race track and could feature if things go his way. 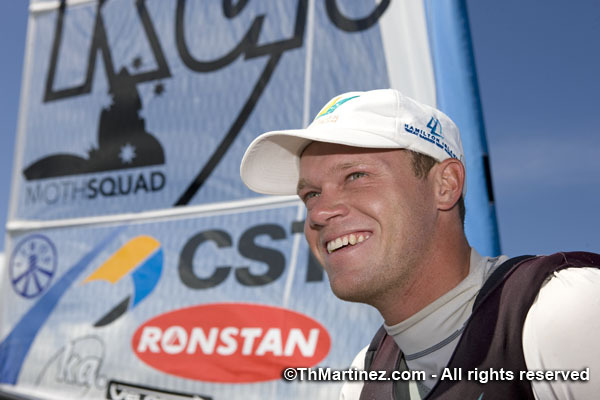 Gough had a disappointing Moth Worlds in Dubai by his own standards, however he hit back with a solid 6th place at the Moth Open Europeans in 2010. 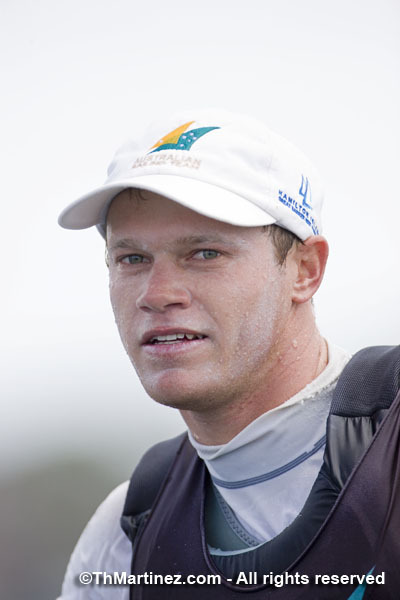 Rob won a couple of heavy air races at the Sydney International Regatta held in December 2010 so he will be looking forward to some strong conditions at Belmont. The Seattle based charger came 5th at the Dubai Worlds and is a quiet achiever amongst the US contingent at the Moth Worlds. Dalton should be up there if all goes to plan. 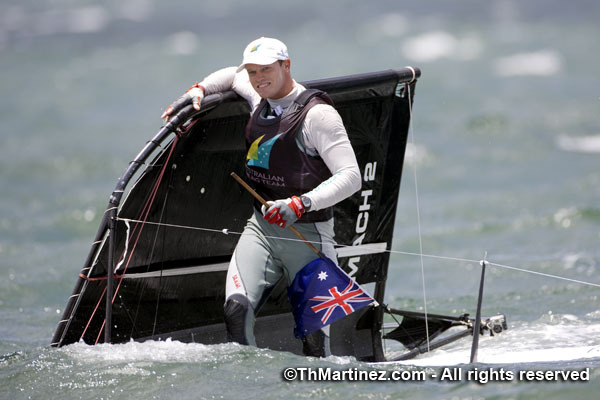 Euan has won three 18’ Skiff World Championships (2000, 2005 & 2009) as well as a 14’ Skiff World Championship in 2006. Euan is a professional sailor and coach who was one of the key team members on the Secret Mens Business 3.5 which was the overall winner of the 2010 Rolex Sydney to Hobart Yacht Race. Euan is no stranger to high performance boats so he will be at home at the Lake in his Moth. Luka will be using a Scalpel Moth that was designed and built by Luka and Marty Johnson in Sydney. On his day, Luka can be very quick and will also be wearing his CST hat during the worlds for anyone who needs any assistance with their CST components. “Beasho” needs no introduction and is taking time out of his ETNZ America’s Cup and Audi Med Cup responsibilities to jump into the Moth Class and learn all about this exciting form of racing. Beasho only picked up his Mach 2 in early December and has been quickly working out how to make them go. Adam and his family live on Lake Macquarie so he has had plenty of time to train in race conditions over the past month. Having sailors such as Beasho at this event is what makes the Zhik Moth Worlds so unique providing such a range of sailing talent from all sectors of the sailing world. 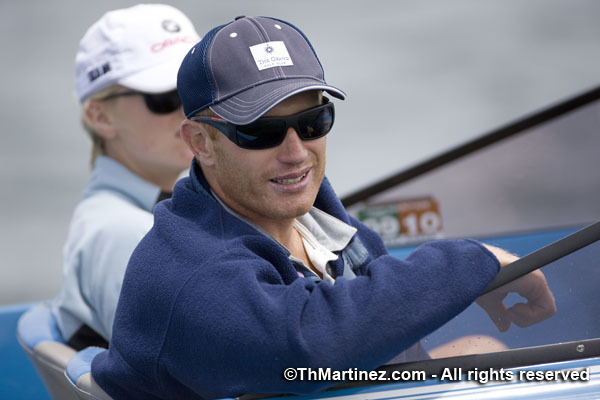 The Double Olympic Medalist and US Sailing legend has been a huge promoter of the Moth class in the US over the past few years. Like A-Mac, Charlie is sure to come to Belmont with a few tricks up his sleeve to keep the young “whipper snappers” in check. Other sailors who will feature include British Skiff champ, Andy Budgen in his bright yellow machine, IMAC President and former Singapore Sailing High Performance Manager Mark Robinson, Dave Lister from Sydney and Iain Jensen who is Nathan Outteridge’s crew on the 49er. Japanese National Champion (and Zhik Japan CEO), Hiroki Goto is leading the charge from Tokyo along with long time America’s Cup Trimmer Tatsu Wakinaga who will be competing in his first Moth World championship. In the Women’s division, we will see some great competition amongst a bunch of talented women sailors including Haylee Outteridge, Samantha England, Emma Spiers, Kerstin Sommer and Emma Aspington from Sweden. Hopefully these talented sailors encourage a larger group of women to join the Moth Class. Emma Spiers points out that the girls need to love the boats because there is not much else too attractive in the boat park! 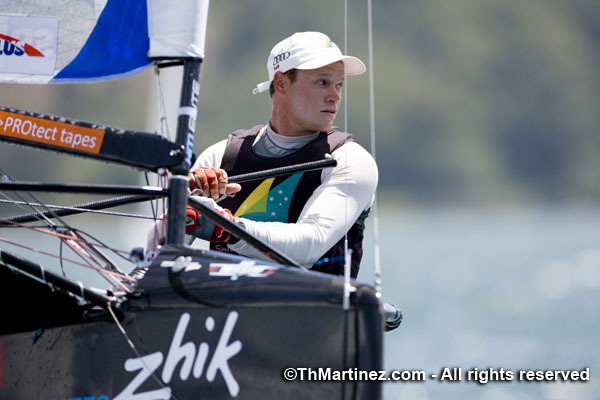 The “Pre Worlds”, Zhik Australian Moth Championship will be raced this week on January 5th and 6th with the first race of the Zhik Moth Worlds kicking off on January 8th 2011. 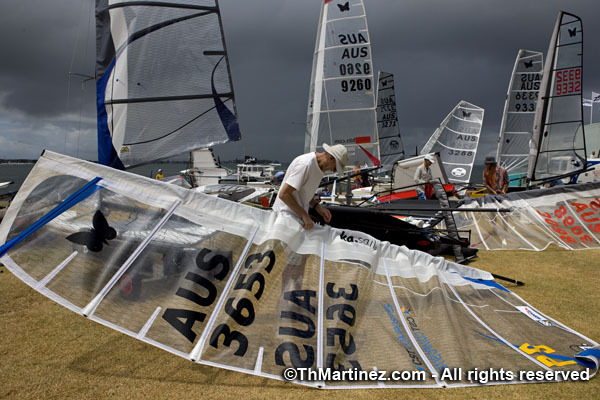 Amendments have been issues to the Zhik 2011 Australian Championships & Zhik 2011 Moth Worlds Notice of Race and Sailing Instructions to cover the measurement of Wingsails. Read the amendments to the Notice of Race. Read the amendments to the Sailing Instructions. Read the official letter from IMCA President Mark Robinson. Permission from the IMCA is hereby given for the following class rule changes to be implemented for the 2010-11 Australian Championship and 2011 World Championship only. 9.12 If the rig is a wing sail it is to be measured in its entirety according to the ISAF Guide to Sail Area Calculation with the total sail area being not greater than 8.00 m2. Rule 8. Spars is not valid for wing sails. The leading edge length of the wing shall not exceed 5185 mm. Fittings and structure that are for the sole purpose of attaching or retaining the wing to the boat shall be disregarded for the purpose of sail area measurement provided they are no bigger than is reasonably required for that purpose. Wing means a rigid or semi-rigid structure (encompassing a traditional yacht’s mast and mainsail structures), similar to an aircraft wing fixed approximately vertically to provide propulsion from the wind. This rule change is issued by the IMCA Executive Committee, under the authority of the IMCA Council of Presidents and with the approval of the International Sailing Federation under RRS87 and ISAF Regulation 26.5(f). 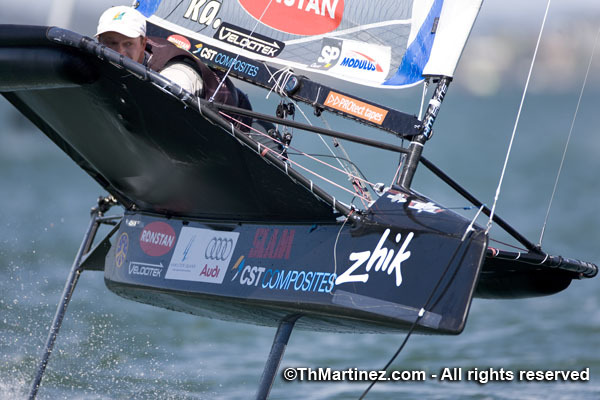 Long time supporter and title sponsor of the 2008 and 2009 Moth World Championships, CST Composites has renewed their support of the Moth Class for the Zhik 2011 Moth Worlds. Clive Watts, general manager of CST Composites has generously donated one of CST’s new high modulus rectangular booms for the winner of the junior division at the 2011 event. The new boom design is another step forward in weight saving and stiffness. 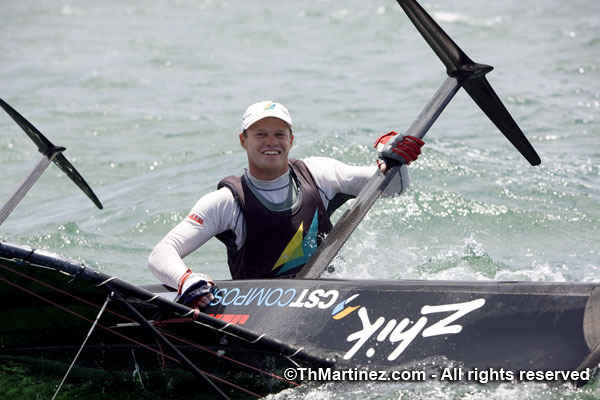 European Open Champion Nathan Outteridge will use the new boom, along with a quiver of CST masts as he looks to take home the 2011 Worlds title. 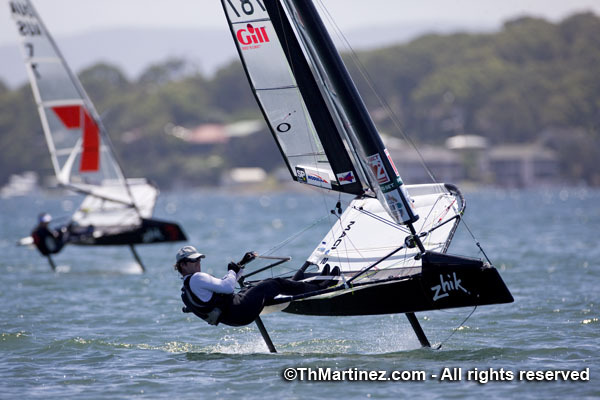 On-site registration for the Zhik 2011 Moth Worlds & Australian Championships starts on the 4th of January. – Proof of National Authority Membership. Or have your National Secretary email it. – Proof of $10M AUD third party liability insurance (ie. copy of policy). Please ensure your insurance covers Australian waters. – A signed copy of your boat’s measurement certificate. – A signed copy of the sail measurement form for every sail you plan to use in the regatta. standard in the ‘quality’ of the ‘dubious-ness’. Want to know more? Download a full set of “The Rules”. 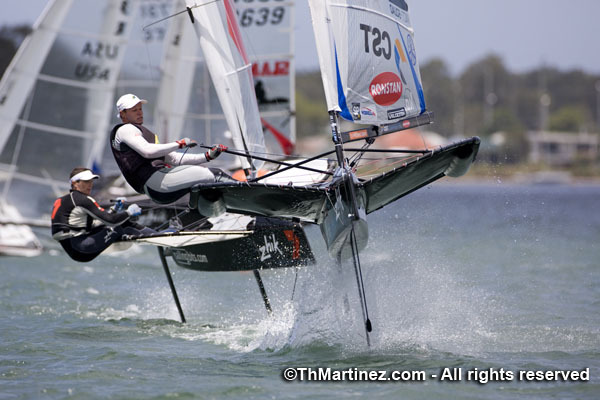 The International Moth Class Association (IMCA) is delighted to announce partner sponsorship by SP- High Modulus of the Zhik Moth Worlds due to be held on Lake Macquarie from January 8th through to January 14th 2011. SP- High Modulus, the Marine Business of Gurit, work alongside the world’s leading boat designers, integrating structural design, materials science and process engineering for the build of performance boats. The versatility and durability of SP-High Modulus products and the in-depth engineering knowledge deliver significant performance gains that are needed in the high performance classes including the foiling Moth. 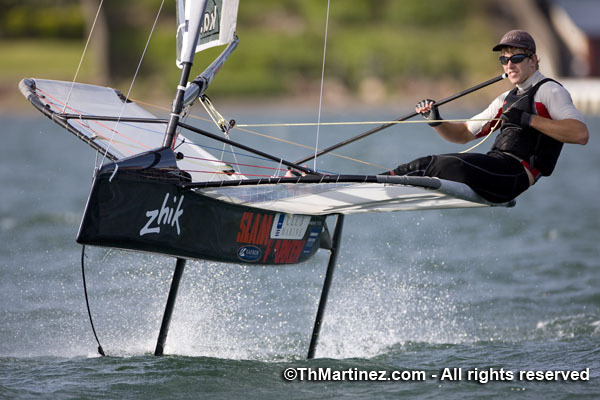 With the 2011 Zhik Moth Worlds less than a month away, the sponsorship announcement provides a significant boost for this major international sailing event. This championship is set to showcase some of the world’s best sailing talent racing on the most innovative sailing craft ever seen. 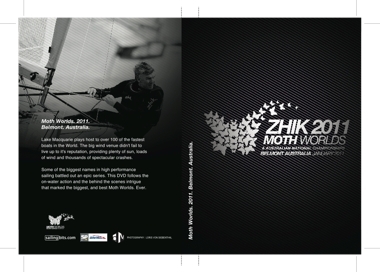 “SP-High Modulus is proud to support the Zhik 2011 Moth World Championship. The competition’s design ethos of high performance, innovation and lightness match the qualities that SP-High Modulus has been delivering to the marine market for over 30 years” commented Niall Kinch from SP- High Modulus. With the majority of the craft competing at the Zhik Moth Worlds having been manufactured using SP-High Modulus Composite materials in their hulls and rigs, SP- High Modulus will also be providing a “Smash Repair” facility which will be available for all competitors to perform running repairs on their boats during the event. If Lake Macquarie delivers its renowned strong sea breeze conditions, this facility could be in high demand. 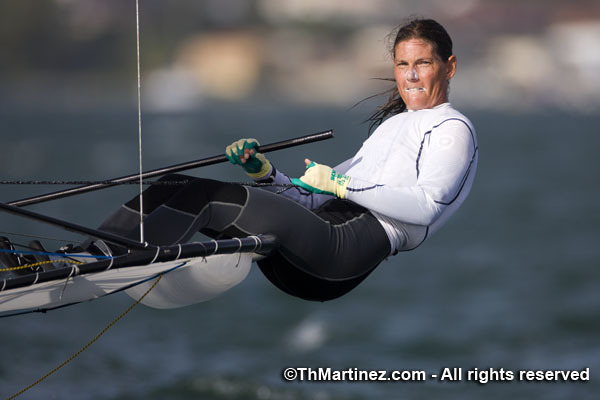 The Zhik Moth Worlds has received 113 entries from 10 countries and is shaping up as a showdown of some of the world’s best sailors from the Olympic and professional sailing sectors. 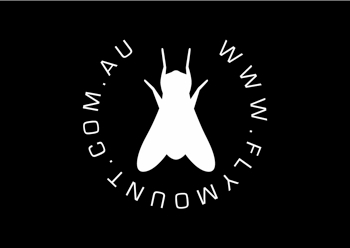 IMCA Australian President, Scott Babbage, is excited to have SP- High Modulus on board as a partner sponsor of the Zhik Moth Worlds: “SP- High Modulus is the world leader in marine composites and we are looking forward to benefiting from SP- High Modulus’ energy and expertise” He added: “The SP- High Modulus brand has a natural fit with the Moth Class so this association is a logical one which we believe will be mutually beneficial”. All competitors are now locked into their final preparations as they build up to race one on January 8th 2011. 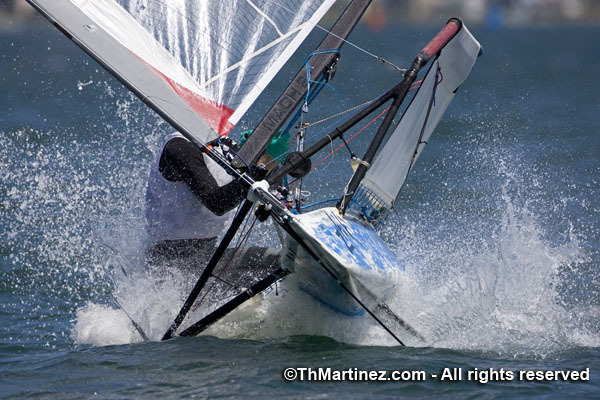 Given the large number of entrants for the Zhik 2011 Moth Worlds, we are seeking extra volunteers. If you are bringing people to the event who would like to help, or know of people wanting to get involved, then please get them to email in with their availability and the roles they would like to fill. – Rescue and course boat volunteers (both drivers and crews). – Shore crews to assists launch and retrieval. 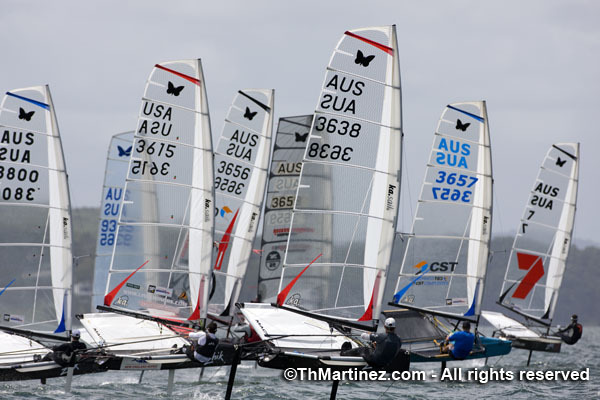 With just over a month to go before race one of the Zhik Moth Worlds, regatta organizers have received a talent filled 112 entries from ten countries who are all ready to test themselves and their boats on Lake Macquarie NSW, Australia in January 2011. Head lining the entry list is ISAF Sailor of the Year & three time Laser World champ Tom Slingsby (AUS) who is looking to add yet another world title to his growing tally, however Tom will have a big challenge on his hands because there will be Four previous World Champions; Simon Payne (GBR), Bora Gulari (USA), John Harris (AUS) , & Chris Dey (AUS) along with another Four Olympians all pushing hard for the title. To pick a favorite for this event is almost impossible with a lineup of champion sailors from Australia, NZ, USA, Great Britain, Singapore, Japan, Ireland, Sweden, Germany & Switzerland. 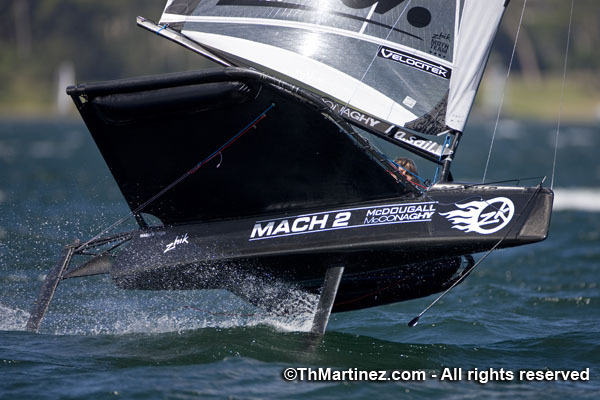 (See entry list below) Interestingly, competitors will be racing with a variety of rig & foil combinations with the Mach‐2 package being the most popular. Current World Champion, Simon Payne (GBR) will be looking to recreate the form which won him the 2010 Moth World championships in Dubai, however there will be a stack of Aussies led by Nathan Outteridge, Andrew McDougall (Aka “A‐Mac”), Scott Babbage & Dave Lister who will be all putting pressure on the Brit over the course of the week. 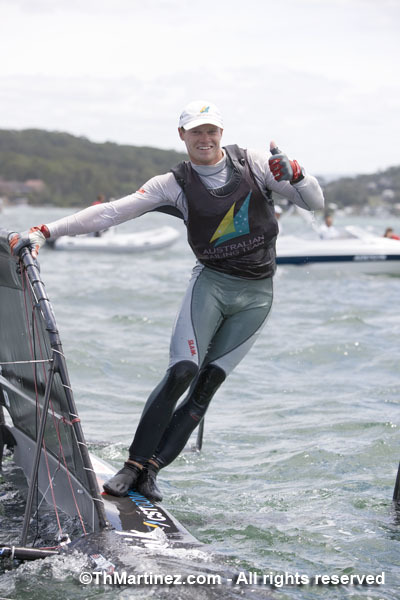 Nathan Outteridge (AUS) is the current Moth Open European Champion and has been in solid form of late having just won the Zhik Australian 49er National Championships with his crew Iain Jensen (AUS) who is also competing at these worlds. Both have been putting in some long hours on their home waters of Lake Macquarie. 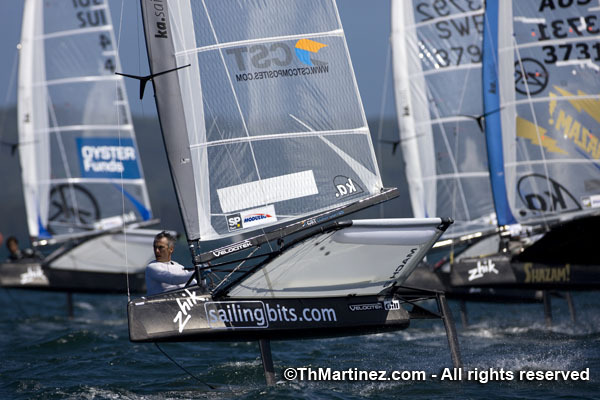 Along with the depth of talent turning up at Lake Macquarie, the latest advances in Moth rig technology are keeping the class at the forefront of sailing development and will ensure that these Moth Worlds will be the most watched edition yet. 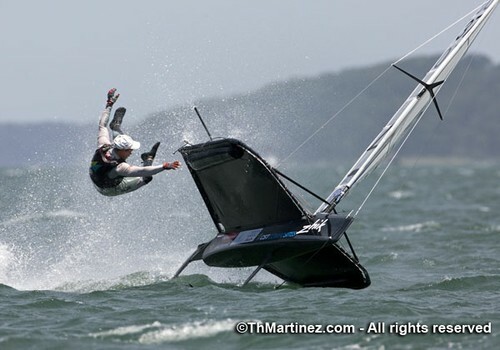 2009 World Champ Bora Gulari (USA) has thrown down the gauntlet to his fellow competitors and will be arriving at the Lake with a solid wing sail on his Mach‐2. The yet to be measured sail has been designed and built by Canadian C‐ Class Champions Object 2 Skiff Works and it will be sure to provoke intense interest both within the class and the sailing community. The new wingsails are yet to race and the big questions on everyone’s mind are‐ Who else is bringing one? Will it be faster? Will it break and will it measure? All will be known in the course of time. Other sailors to watch include seasoned America’s Cup campaigners, Adam Beashel (AUS), Charlie McGee (USA) & Tatsu Wakinaga (JPN) along with Volvo Around the world sailor George Peet (USA) who could surprise the seasoned Moth guru’s. 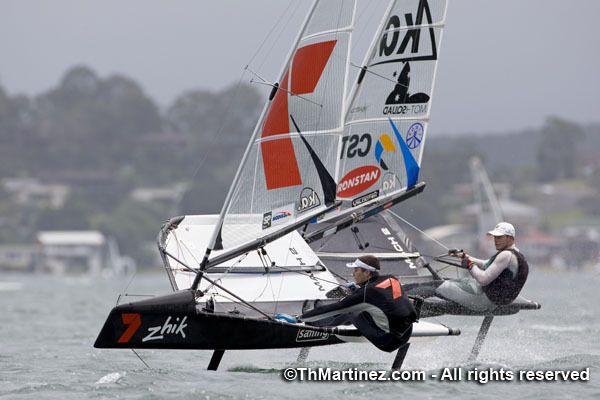 The Notice of Race for both the Zhik 2011 Moth Australian Championships and the Zhik 2011 Moth Worlds have been amended. The schedule for the Worlds has been modified to move the reserve day back 1 day to the 12th January. This will allow the organiser to catch up if any races are missed in the first 4 days of the regatta. 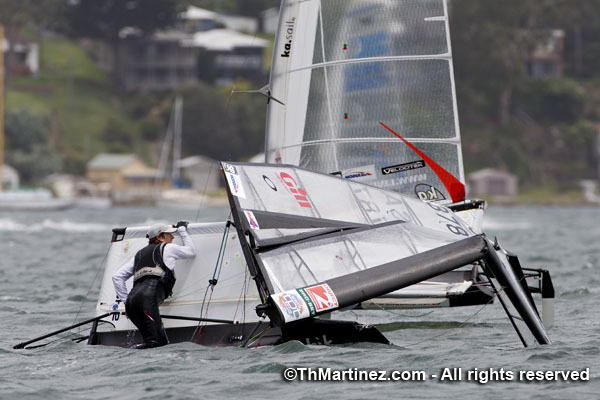 For the Worlds, the total number of races for a split fleet event has been reduced from the ambitious 21 races, to 18. 9 in qualifying and 9 in the finals. A media rights, cameras and electronic equipment clause has been added to both. Check the Notice of Race page for the full notice. 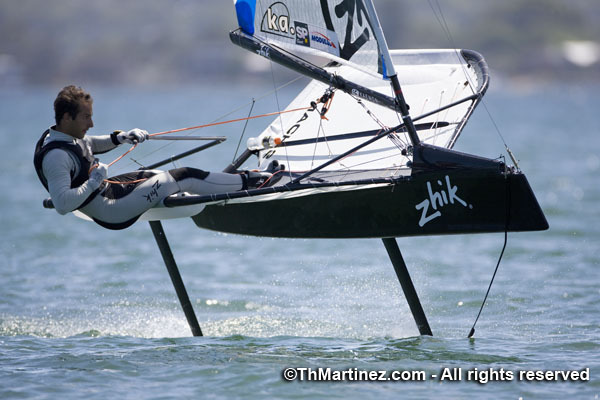 The International Moth Class Association (IMCA) welcomes the timely addition of Zhik as title sponsor of the Zhik 2011 International Moth World Championships and Australian Championships, to be held on Lake Macquarie, Australia in January 2011. “Zhik has always been a strong supporter of the Moth fleet.”, said Managing Director of Zhik, Brian Conolly, “Moth sailors and Zhik designers have the same philosophy, both being attracted to technical innovation. Zhik has enjoyed working with the top sailors in the Moth class to help design faster wet gear”. While they may claim home court advantage, the Australians will not have it all their own way. 2009 World Champion Bora Gulari is expected to make the trek down under, along with reigning World Champion Simon Payne. American Brad Funk will also add to the invasion of formidable international rivals. Newcastle’s Quality Hotel Apollo International has stepped up as a supporter of the PUMA 2011 Moth Worlds. The Quality Hotel Apollo International is a short 10 minute drive to Belmont 16 Footers, with a bus stop located directly out the front of the hotel. – 4 star accommodation with 24 hour reception. – Complimentary car parking and Internet. From $115 (Garden Rooms) single or double, room only. 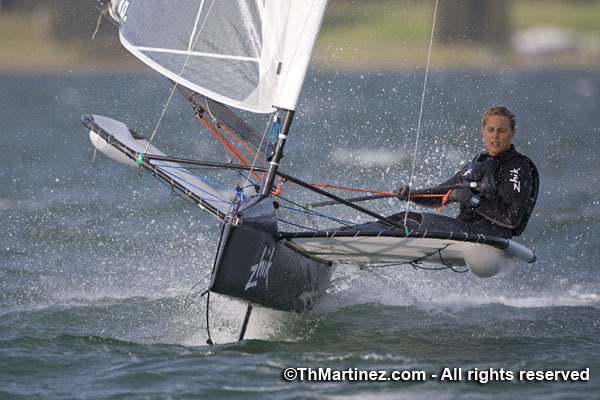 Entries are now up for the 2011 PUMA Moth Worlds. 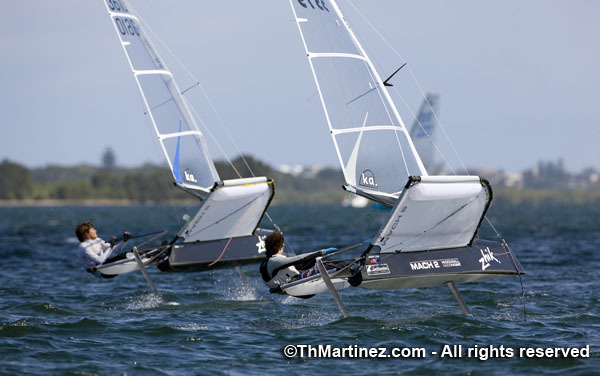 The Notice of Race for the 2011 Moth Worlds is now available for download. Given sufficient entries, the series may be divided into qualifying and finals, with the fleet split into groups of approximately equal numbers. 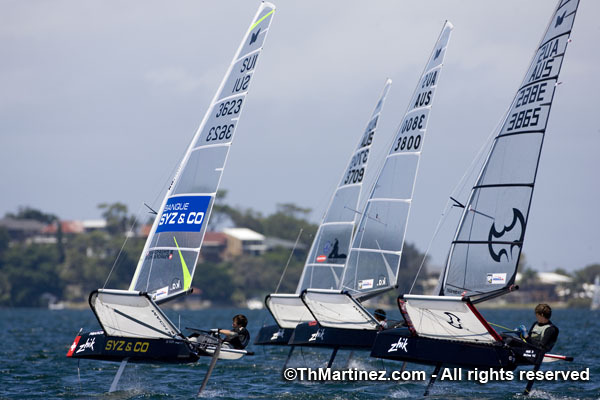 The Notice of Race for the Moth 2011 Australian Championships is now available for download. Check the Notice of Race page to download. The event will consist of a 7 race series over 2 days, starting on the 5th of January 2011. Entries are open to all Moth sailors affiliated with the International Moth Class Association either directly, or through their National Authority. Enter online now. 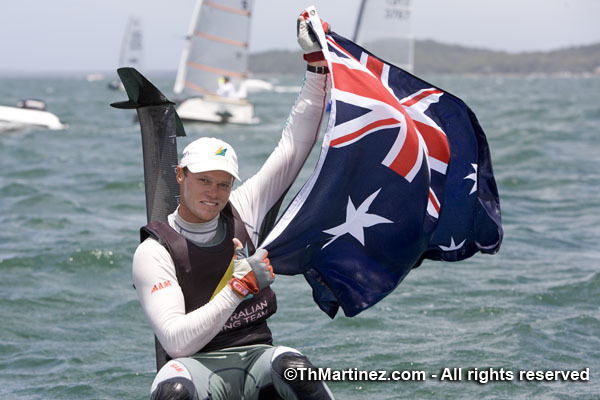 The Australian Nathan Outteridge wins the SYZ & CO MOTH EUROPEANS in the Open category, in front of the American Bora Gulari and the Australian Scott Babbage. The British Simon Payne is the European Champion before the two Swiss Arnaud Psarofaghis and Matthias Renker. Two superb regattas finished a splendid week today, with Bora Gulari winning the first one and Nathan Outteridge the second one. Summer heat, “Lord of the Rings”’ like landscape, amazing sun, blue skies, one had it all for the last day of the competition except for… the wind. But the competitors did not have to wait for too long. Finally the Maloja wind rose, weaker and more irregular, between 10 and 15 knots, and allowed a start at 2.05 pm. “I am really happy, it has been a fantastic year for me so far! ” says the new European champion, Simon Payne, just off his boat. “Three important victories this year, the World Championships, the British Nationals and now the European championships, I am really happy! ” Let’s remember some of Simon’s achievements, as this is his 5th European championship victory and he has been World champion already twice (2006 and 2010). How did the duel with Arnaud go today? 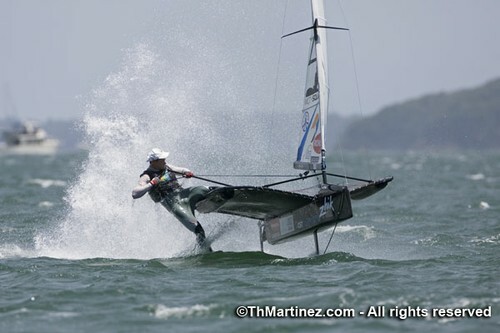 “I had a good day, also I was not very fast down- wind. I was very carefully watching Arnaud’s position. I sailed in a very conservative way, in particular in the second race, when the general recall and the black flag was announced. I made a very careful start, but I succeeded to overtake Arnaud at the last mark. Ricardo Payro, the Head of Communications of the SYZ & CO Private Bank, gives us his impressions of the week : “One absolutely splendid week for everyone! For the organizers, as the European championships were at the level of a world championship, with exceptional athletes competing. For the competitors, all the conditions were met: they sailed under idyllic conditions, with wind and flat water. For the public on-site, it was amazing to be able to watch this spectacle from the shore, in the beautiful Engadin region. A large public has also followed the races on Internet thanks to the GPS tracking system. If everyone is happy, then the title sponsor is obviously happy!.